Clear TV Premium HD Antenna Reviews - Watch 4K TV? The latest in the Clear TV lineup, the Premium HD Antenna from Tristar claims to provide completely free access to digital over-the-air 4K signals that can deliver crystal-clear images. Clear TV Premium HD Antenna promises to help customers bypass cable and satellite companies and watch top-rated local shows, local news and weather, sporting events, and even crystal-clear 4K broadcast shows, without worrying about contracts, monthly fees, or price increases. The website advertises it works just like your old antenna, but also features a sleek, discreet size, plug-and-go functionality that works with any TV, no ugly wires, and the ability to receive hundreds of free HD and digital TV channels. Just place anywhere, connect to your TV, and extend the antennas, and it will continue working as long as you have power. With a price under $20, Clear TV Premium HD Antenna doesn't necessarily represent a considerable investment. But, you deserve to spend your hard-earned money on products that provide the most value, which is what we'll help you decide for yourself in this article. Let’s dive right in and take a look at the basic functionality of antennas like Clear TV Premium. How Does Clear TV Premium HD Antenna Work? On June 12, 2009, the Digital Television Transition Act went into effect, which stipulated that all major networks cease broadcasting analog over-the-air (OTA) signals, and begin broadcasting digital signals. Is there much of a difference? “In fact,” he says, “the video signal of analog television was transmitted in AM, while the audio was transmitted in FM. As a result, analog TV transmissions were subject to interference, such as ghosting and snow, depending on the distance and geographical location of the TV receiving the signal." And because broadcasters can pack more information into digital signals, the picture quality on viewers' side is much higher than with analog. The most significant difference, of course, is that compared to the old-school rabbit ears, users need an antenna specifically designed to translate these digital signals into images on a screen. This rod is split down the middle (hence the ‘dipole’ designation), with each section separated by an insulator and joined in the antenna’s interior to a coaxial cable. This cable attaches to your TV and allows you to view the signal it receives. Let’s zoom in and continue our discussion of signals in the next section. To ensure you have a crystal-clear understanding of Premium HD Antenna’s capabilities, we’ll briefly break down this potentially complex topic, step-by-step. Above, we discussed that digital OTA signals provide clearer images than analog ones since broadcasters can fit more information into them. In a nutshell, 4K (also frequently referred to as Ultra HD, or UHD) is similar, since its signal contains more data—four times more, to be precise—than 1080p HD resolution, thereby creating a clearer picture on the viewer’s side. As you might imagine, improving picture quality four-fold is an information-intensive process. This makes 4K signals much bulkier and more difficult to get to the end viewer, based on current distribution technologies. Still, Tech Radar explains that “steps are being made to get 4K content into broadcast television. In the UK, Sky has started broadcasting select sports in 4K, and BT is also using IPTV technology to do likewise.” The 2018 World Cup was also broadcast in 4K and HDR. Bringing everything back around to the product at hand, what do these details have to do with the Clear TV Premium HD Antenna? In short, when it comes to the over-the-air 4K/UHD broadcasts this antenna is designed to receive, US-based customers currently have a very limited content selection. In fact, Tech Radar recommends that “your best UHD options right now come from Netflix and Amazon,” neither of which Clear TV Premium is designed to stream. Other streaming services that offer 4K content include iTunes, Vudu, YouTube, Sony Ultra, FandangoNow, Google TV, and Fubo (to name just a few), as well as gaming consoles like PS4 Pro and Xbox One X. If you haven’t already cut the cord from your cable provider, DirecTV, DISH, and Comcast’s Xfinity also offer 4K content. Even if you had hundreds of 4K stations and broadcasts available for the Clear TV Premium HD Antenna to receive, you’d also need a screen capable of displaying the content. Granted, the cost of 4K-capable TVs has come down a great deal over the past couple of years (we found models at national retailers for less than $150), but this is something you should add to your budget if it’s been a while since you upgraded your set. Furthermore, even if your TV is appropriately equipped, CarltonBale.com indicates that your viewing distance can make all the difference when it comes to 4K. For example, if you have a 90” screen, you’ll need to sit within about six feet to experience the full benefits. If your screen is smaller, you’ll need to sit closer. At the opposite end of the spectrum, the chart indicates you can still view the full benefits of 4K at up to about 17 feet away, but you’d need a 140” screen. We'll come back around to these details in a moment. First, let's briefly cover the cost and the manufacturer. How Much Does the Clear TV Premium HD Antenna Cost? One Clear TV Premium HD antenna is priced at $19.95, plus $4.99 S&H. During checkout, you can purchase a second antenna for a $4.99 fee. All orders come with a 60-day money back guarantee, less S&H, which you can request by calling Tristar Products at 973-287-5164. What Do We Know About the Company Behind the Premium HD Antenna? Premium HD antenna is manufacturer by Fairfield, NJ-based Tristar Products, who’s been a mainstay in the As Seen on TV industry since 1992. In addition to the product in question, the company’s also released several other options in the Clear TV lineup over the years, including the original, Key Antenna, Black Box, and ClearBell. Tristar held an A+ rating with the Better Business Bureau, based on 26 customer reviews and more than 600 closed complaints, as of 9/17/18. Most related to service and quality issues, although a company representative responded in each instance. Bottom Line: Do You Need an Antenna Like Clear TV Premium HD? Is There Much Content to Choose From? Even if you already have the most expensive and time-intensive of these components in place (TV and viewing distance), we discussed earlier there’s currently very little over-the-air 4K available for an antenna like Premium HD to receive. In other words, these options are currently limited to somewhere near zero in the US. Do You Already Own a Digital Antenna? In other words, if you already own an indoor antenna capable of picking up over-the-air digital broadcasts from major networks (ABC, NBC, CBS, The CW, PBS, etc. ), they indicate that you should also have the capability of viewing 4K signals once they reach your area. You do not need to purchase a new one to view 4K signals. However, if you don’t yet own one of these antennas, based on the company’s advertising claims, it seems like Clear TV Premium HD will allow you to receive both HD and 4K over-the-air transmissions. Which Channels do You Expect to Receive? OTA digital antennas will not allow you to view premium cable-only content. This is something you can only get with a cable subscription, or via an aftermarket streaming service. Specifically, antennas like Premium HD solely provide access to major network stations like CBS, NBC, ABC, PBS, The CW, FOX, Univision, and so forth. 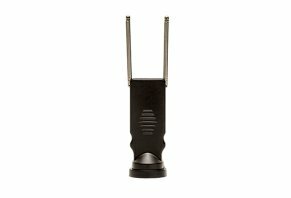 If you’re expecting to receive premium cable content from networks like HBO, Showtime, STARZ, Comedy Central, ESPN, MTV, FX, TNT, HGTV, and A&E (to name just a few), with an OTA antenna like Clear TV Premium HD, you will not receive additional premium content as Digital Antennas like Clear TV deliver signal to local network channels available in your region. Will You Get Good Signal Quality? A final consideration to keep in mind is that even with all of these components in place, the signal quality received by your indoor antenna can vary greatly depending on the distance to broadcast towers, as well as objects in between them and your antenna (hills, buildings, walls, etc.). Before making any purchases, you can get a better handle on potential signal quality by visiting TV Fool’s TV Signal Analysis tool. Write a Review for Clear TV Premium HD Antenna!